Freelance web designers (and developers) create a product that clients can – and should – access from anywhere in the world. For this reason, they have to put more thought into their work than freelancers providing other types of services. Without these freelancers, the world would not have much to talk about in the form of the Internet. The website creative brief gives these freelancers a tool to provide the most significant web design and development services. All websites have to achieve certain goals. Owners of these sites need them for selling specific products and services or providing unique information or messages across. In fact, the best freelance web developers and designers do not give too much attention to the site’s aesthetics. No! Instead, they also design and develop sites based on the principles of search engine optimization (SEO) and search engine marketing (SEM). Consultant web designers and developers are aware of all the principles of designing and developing websites. That kind of knowledge comes out clearly through the website creative brief. The brief might not be long enough to contain or feature all the principles the consultant knows. 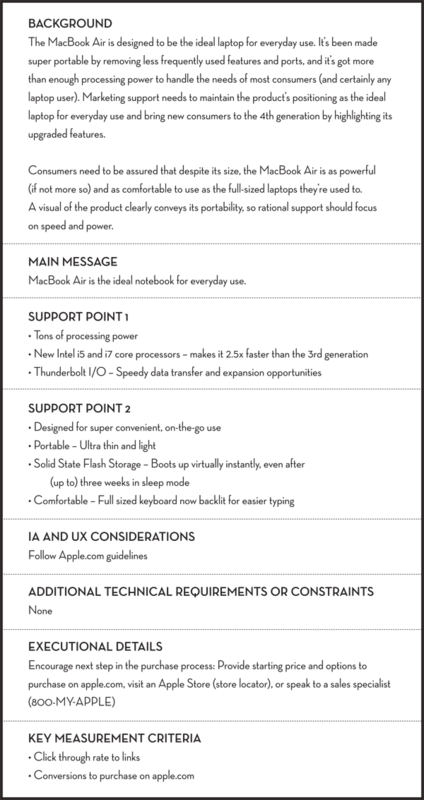 However, it is sufficiently long for the freelancer designers to hint at some of the most important principles they know. Invest in familiarizing yourself with these principles today to avoid disappointing your clients. What sort of content will the websites you design for your client's feature? All consultant web developers worth their money ask themselves this question repeatedly. The aesthetics of the website matter but not to the same degree that content does. For this reason, it’s important for the designer to pay more focus on the content. The content has to be of the highest quality. It has to be relevant and useful to the readers too. The content has to be created with the perspective of the end user or reader. Content on each page of the website creative brief has to be similar to what’s on the rest of the website too! In designing or developing websites, you will come across many clients with existing sites. The reason they need the services of a freelance designer is the website is not producing the kind of results they expected. Therefore, the freelancer has to find solutions. This often starts with identifying and acknowledging the current problems that have led to the prevailing situation. The freelancers can only solve a problem they already know. The website creative brief must clearly show that you understand the website’s problems. Regular communication between freelance web designer or developer and the client is essential to maintaining a mutually beneficial relationship. 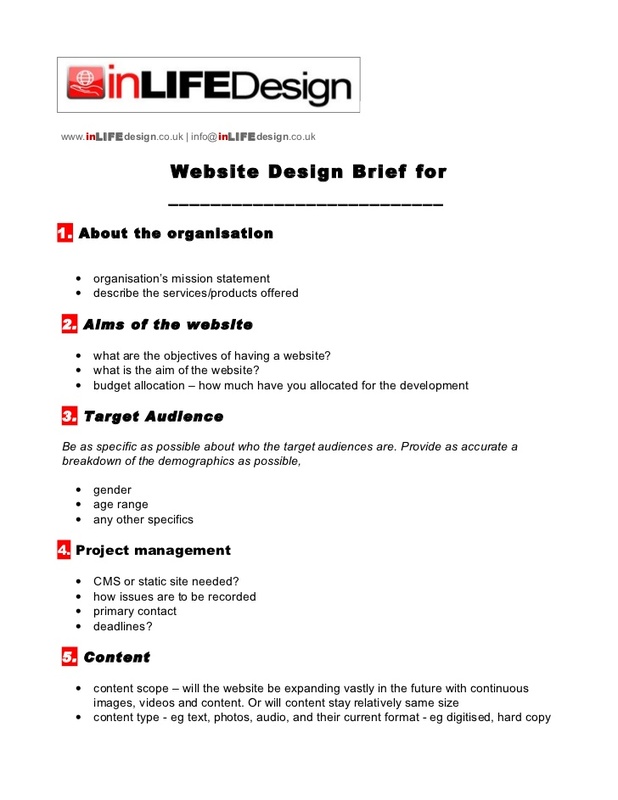 The website creative brief is essential for creating the framework the two parties need for managing communication. A freelancer who communicates with the client regularly has a higher chance of delivering what the latter needs. Regular communication increases the likelihood of delivering quality work. No two websites are the same, especially if they are for clients who are in different industries. For this reason, the best freelance web designers understand the market the client operates in. Those who lack such understanding often take their time to acquaint themselves with the client’s market or industry before starting to work on developing or designing the website. Apart from that, the best designers also know their own industry well. Freelancers should familiarize themselves with the latest trends in their industry.